Only really had the 10 year single barrels. The 2013/2014 that I had were quite special (and a recently opened 2014 confirms this). 2015/2016 were quite poor in comparison and I won't be bothering blind buying going forward, not least because the price in the UK has gone from £85 to £120/130 whilst the quality has continued to decline, whether this is a change of source (seems like it, given the different profiles between the 15 and 16) and perhaps a reduction in age of the contents, I'm not sure. I did have a US*1 a while back and it was pretty 'meh' (certainly not worthy of the £50 it commands here). 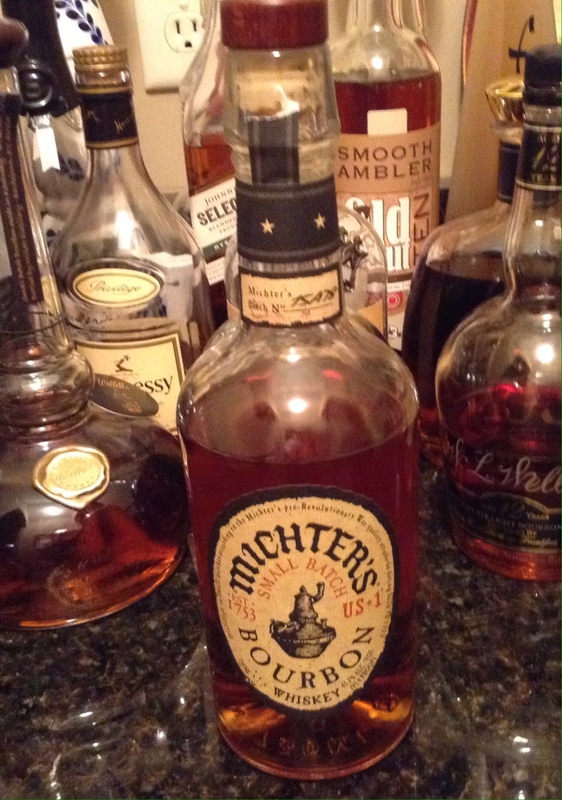 Well, I dug into the back of my bar cabinet tonight and found the Michter's Small Batch that I bought about a year ago. So, I decided to give it another go, and it's actually better than I remember. However, at $40-$45, it's overpriced by about $15 for what it is, so I won't be a repeat buyer. 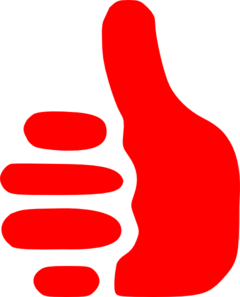 There are so many other choices that are as good or better in the $25 to $35 price range. I hadn't had a pour from this bottle since I last posted about it. Yesterday I decided to revisit it since I need to work on some of the open bottles that have been hanging around for a while. This bottle has truly morphed into a very tasty bourbon. Perhaps my palate was just very receptive to the particular flavors in this bottle yesterday, but it was so good that I felt I needed to update my earlier post. There are still many great bourbons that are just as good for less money, but I'm not sure I can still say there are better bourbons for less money. If the price was lower, I think I would now be a repeat buyer, and I may be at some point anyway after I finally finish this bottle. If you can find this under $40, I'd say give it a try. Any reason why it isn't 'straight'? I think Michter's has just opted not to use that term for whatever reason even though I'm pretty sure it is straight bourbon. Went to a Michter's Tasting Dinner last night here in Memphis. I have a good friend in the spirits business that asked me to come. He knows I'm quite the bourbon fan AND he also knows I have never been a big proponent of the Michter's brands. I told him I would come with an open mind and give each sample a fair evaluation. Jamie Alvey Regional Director of Sales and Kyle Lloyd Director of Maturation represented Michter's. After introductions by the restaurant owner Jamie kicked things off with a brief history of the brand. Nothing was discussed that's not available online. SB has several very detailed reports of this brand if you advanced search, the stand out info piece was Cowdery's 2009 post. (Also a search of his site will pull up additional info) After Jamie spoke they served the small batch offering. Kyle spoke next and gave several details on what made Michter's different than most brands and covered their current distilling operation that's been up and running for a couple of years now. He pitched the idea that they barrel at 103 proof and not the standard 125 often used by others. They believe that the lower proof will interact with the wood better since water can enter and exit the wood "better" than alcohol. Another process touted was their heating of the storage facilities. According to Kyle they use these heat cycles to force the aging process to accelerate. In fairness to the presenter he might frame these statements differently than my recantation, but I think the points at least are accurate. Next the sour mash version was served along with a wonderful scallop dish. I have sampled this line before and for my personal taste the sour mash is the most acceptable iteration of the more common offerings. In latter conversation with Kyle he also favored the sour mash. Kyle stood and made additional comments. The focus this time was on the wood. Independent Stave in Lebanon MO does the copperage using MO grown white oak. Once the staves are cut they are then aged for no less than 18 months with many pieces going 20-24 or longer. The wood is air dried and not kiln dried. Michter's stated the cost per barrel is about 25% more than would be if it was kiln dried, and used wood from other parts of the country. OK, don't shoot the messenger. This air dried, pure MO cut white oak would add the additional flavors required better than other options. Next rounds served were the toasted rye and unblended American. Kyle now explained the difference between a "toasted barrel" and a charred barrel. The toast rye served was aged until fully mature (how ever long that is) in the regular charred barrel then moved to the toasted barrels for the next year plus. I probably have my facts wrong here but I want to say about 18 months more. The flavors on the toasted rye where very large but I could only get BIG caramel and heavy wood but for me, not oak or cedar which would be my standard wood taste, but something more sawdust. In conversation with Kyle I told him it was a different pour but one that I could only do once in a while-never back to back. He stated they struggled with the right mix before they could release the toasted rye. It is supposed to be in very short supply? The American was somewhat drinkable. These by the way were served with a filet. The raisin bread pudding was served with Michter's 10. The ten was easily the best pour of the evening. Very smooth and somewhat light for that age. No big wood, but the standard caramel and vanilla with some cherry underneath. The 10 was not a big or long finish. This is a very good tasting bourbon and each would have to weigh how good vs the price. I tasted nothing last night that would change my personal opinion of the whiskey lineup offered by Michter's. I thought Kyle did a fantastic job in making his case why their brand was superior and that they had been green lighted by the owners to spare no expense in producing the worlds greatest whiskey. Kyle was also very candid in all responses to the fairly large crowd except of course who they were sourcing from and what their mashbills were. He did say that the sour mash was less than 50% both corn and rye and both grains were in "close to equal parts". It does have a big rye taste. I hate that I missed the opportunity to possibly go to this event since I was out of town, but thanks for texting me and asking! As indicated by my posts above, I'm starting to like their products more these days, and I agree that the Michter's 10 is a very nice bourbon. It's fairly widely believed that lower entry proof results in better tasting bourbon, especially at a younger age. It wasn't long ago that most bourbons entered at 110-115. The boom has forced most to go in at 125 in order to achieve higher yields. There are certain flavor compounds in the wood that are more water soluble which is why a lower entry proof can result in different/better flavors. Regarding heat cycling of warehouses, Old Forester does this in Shively. I don't have a good handle of how effective this is, but I have tasted some OldFo single barrel samples at cask strength during a couple picks and I have to say there have been some good ones that were less than 5 years old. I was surprised by that. I've had plenty of bourbon that age that clearly tasted too young. Air drying and aging of barrel staves is also a real thing. It costs more but results in wood that has less tannins. These are all commendable things, but the proof will be in the pudding. All of their current whiskey comes from Brown-Forman (except the older stuff) and they achieve their flavors with a variety of complex filtrations. When it's their own whiskey in the bottle, I'll try them again. Thanks for that report. I've been cautious about Michters due to the level of animosity about the brand. I've had their bourbon and I find it pleasant, but it's not a regular of mine due to the price. It's a good, flexible bourbon for sipping and mixing, but the $40+ pricetag is a bit much. I would compare it to a BT, WT101, etc which are good bourbons as well, but at a much friendlier price. I've had the barrel strength rye and wasn't fond of it. I just finished a bottle of Michters 10yr and love it! I have another bottle of 10yr. that i'm looking forward to cracking some time soon. The bottle I just finished had butter rum lifesaver notes to it. I hope my next bottle tastes similar. Good luck with that. Michter's is a sourced bourbon. There's no telling if what is in the next batch of M10 is the same as what was in the last batch of M10. I'm taking a hard pass on all things Michter's until their own distillate is in the bottle. i'll see. i like this brown quite a lot... i also like Michter's american (technically not a bourbon) too.